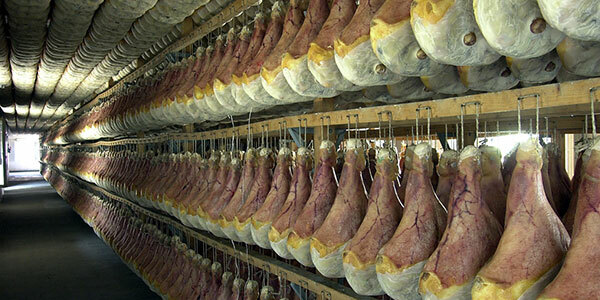 – The weight, at the end of curing, fluctuates between approximately 8 and 11 kg with the exception of hams intended for boning the minimum weight of which must be no less than 7 kg. – It must bear… the special mark that permanently guarantees the origin and identification of the product… the lion trademark and the metal seal. To be marked in this way, the ham must come from national authorised abattoirs of regions in central-northern Italy and be branded to guarantee that it is a national product. The carefully chosen joints arrive, having been selected for their weight, having undergone the health inspector’s examination and having been stamped with the metal seal which will guarantee their origins and the date of salting. This phase is the first and the most important in ensuring that the ham will gain its characteristic subtle flavour, a fact which also depends on the mastery with which the ham is kneeded. 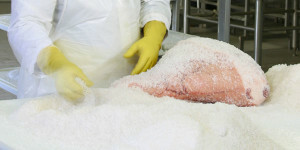 The art of salting does not principally depend on how much salt is sprinkled over the ham, but rather on selecting the right moment for taking the ham out of the salt (from the 10th to the 15th day, depending on the weight of the joint). Is important emphasize that the ham absorbs only enough salt to preserve Prosciutto Veneto, without using any additives or chemical preservatives. At this step, the ham is lightly pressed and placed to rest for 90 days in a climate-controlled rooms, whose temperature and humidity level is constantly checked. 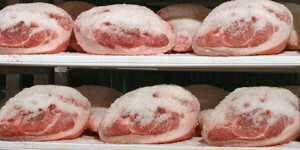 During this stage the drying process begins and the salt penetrate along the muscle, and is distributed uniformly. After the winter season, the ham is washed with warm water (40 degrees), to stimulate the start of the softness process of the flesh. During this phase an enzymatic process occur which determine the typical perfume and the distintive aroma. 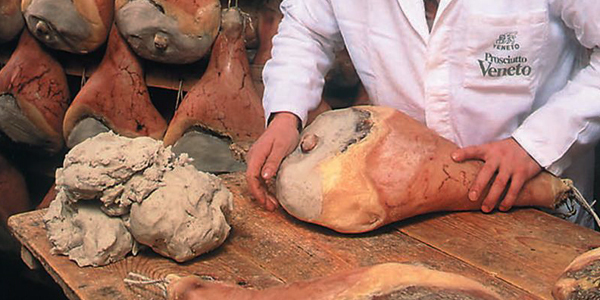 The part not covered by the rind and the head of the femoral is smeared with a simple and natural mixture of cornflour and lard to protects the ham and maintains its natural tenderness during the whole long maturing process in large and ventilate rooms of ham factory. Once the ham has passed the minimum period of maturation, the inspector of the INEQ institute perform the quality control by using a needle which pierces the ham and allows the progress of the maturation to be evaluated. The ham which is judged to be of the right standard is fire branded with the venetian lion and the word VENETO, symbols which guarantee the characteristics as required by the Law. 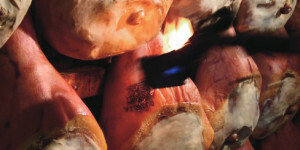 Then when the company’s trade-mark has been branded, the ham is ready to be sold. Any prolungation of the maturation process means that the subtle flavour and taste are enhanced, and the fruits of the long and patient work of the Veneto producers can be reaped.